A Ridiculous history of this site! 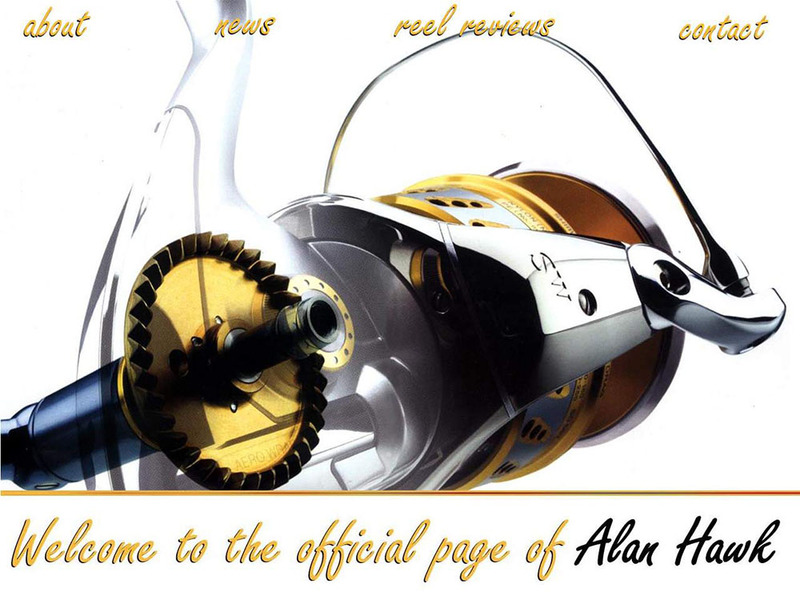 When I first logged into the internet in 1996 I wanted to do two things quite badly- see undressed damsels, and have a site where I can talk fishing and tackle. The first goal was achieved almost instantly, mainly thanks to the tenacious scanners who digitised Ms. Samantha Fox's "huge" library of works, but the second goal remained just a dream due to my extreme cheapness. In case you haven't noticed I'm such a cheapskate I almost got myself run over by a crazy guy to save on parking fees, and I drink tap water even in the roughest places of the world because I'd rather damage my kidney than spend those beautiful crunchy banknotes on bottled water. Anyway, I first went on IRC chatrooms to exchange fishing and gear information and give advice when I can, but was bothered by the fact that everything said disappears in a few minutes as if it never existed. I then moved on to some early bulletin boards, and eventually to more advanced ones. These initially seemed to fit the bill since they preserved the information, but as my work became more intricate I felt restricted by these sites' software and layouts; some boards only allowed a certain number of images per post so I had to post each review in several parts, others had algorithms that inserted advertisement inside the reviews themselves which I couldn't bear, and some did not allow picture uploads forcing me to use unreliable external hosts for pictures. It just wasn't what I wanted. I then had my first attempt at having my own site, but being my stingy self I opted for a free GeoCities site. It gave me more control over layout and page design, I didn't need to learn coding thanks to the simple drag-and-drop site builder, and the host did not force invasive advertisement. Things looked set for a while, but that stability was short-lived as on one fateful morning early 2007 my site disappeared. To this day I have no clue why. It could've been that it was consuming too much bandwidth for a free site, could've been that my edgy humour violated something in the T&C, or might even have been a hacking job back when there were no "captcha" tests to prevent brute-force password attacks. 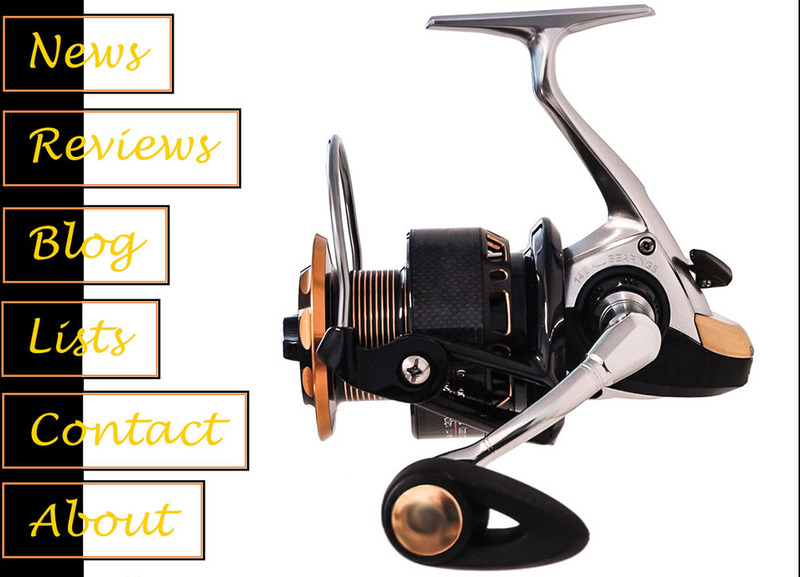 My early reviews were safe because they were still on message boards, but tragically a few newer reviews went down with the site, most notably the Twin Spin review, and I had no backup for them anywhere. Kinda stupid because I neglected backing up my work while I carefully backed up every single naughty photo of Ms. Fox I've ever had. I mean I actually still have the very first photo I downloaded of hers to this day preserved and backed up, file dated September 1996! Anyway I licked my wounds and went back to posting on several boards simultaneously, but troubles just loved me too much to stay away for any considerable amount of time. 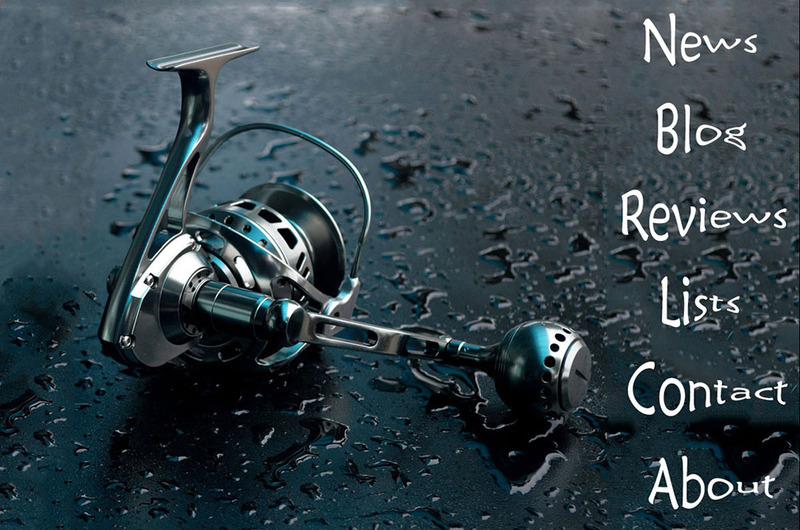 I began spotting trashy companies that sold rebranded OEM reels under false claims of origin, and went after them in several articles exposing what they were doing. The people running these companies would then threaten the owners of these boards with legal action for supposed libel, which yielded mixed results. Some owners were brave enough to tell these crooks to get lost, but unfortunately a number of board owners got scared and decided to delete the articles in question. The worst such incident was in 2008 when an Australian board deleted an article after being threatened, which was particularly infuriating since the fraudulent company I exposed was based in Australia and it was vital for Aussie readers to see the article. These incidents were the wakeup call I needed. I realised that I must have an actual paid site with a contract guaranteeing the safety of my work, and I even made sure the domain registration and hosting accounts were done by a good friend who lives in the USA so that my work will always be under the protective shield of the incredible First Amendment of the American constitution. In case you didn't know, in America if someone accuses you of libel the burden of proving that you acted maliciously falls on the accuser, which is pretty logical, while in many other countries anyone can falsely accuse you of libel then the burden of proving that you didn't falls on you, which opens the door for abuse of the system. Say what you will about America, but it is and will forever remain the greatest country on earth because of its 1st and 2nd Amendments. My very first effort. Completely in love with the 2008 Stella SW I chose that see-through image showing the new large bronze treated drive gear. Well, it was new back then of course but now it's a familiar sight. Only a few links were working, no system to contact me, and everything was jammed into and linked from this single page. Terrible stuff, but back then I was extremely proud of that "fine" job. A few months later I divided the contents into separate sections, and debuted the "News" page to tell you what I was up to and share the latest gossip. Cleaner and easier to navigate compared to the original mess, and I left the picture unchanged because I considered it a fixing job, not a redesign. This page stayed on for a very long time. When I finally updated it I used another see-through image of the 2008 Stella SW. 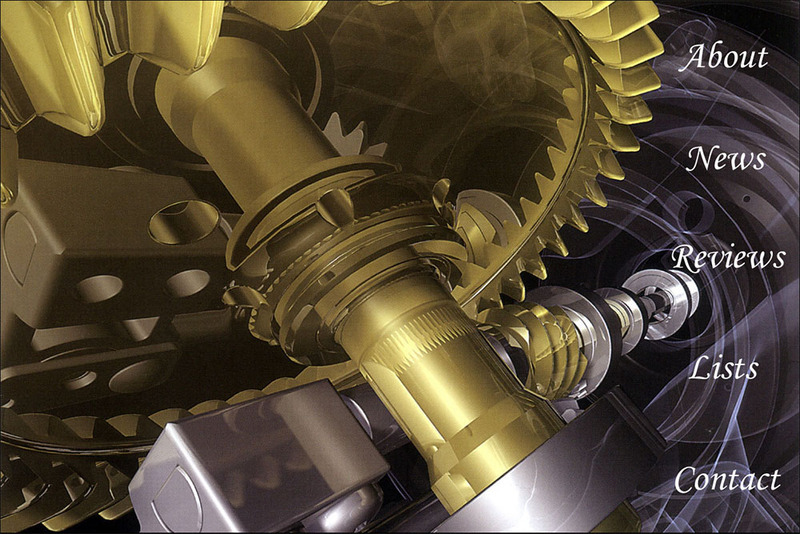 The graphics released with that reel were truly beautiful and showed the internals handsomely. A new section was added to the site as well; the "Lists", which has proven quite popular with those looking for the gist of things without having to go through all of my endless ramblings. This page design stayed for over a year I believe. Updating the homepage was a big task for me back then so I skipped it for as long as I could get away with. 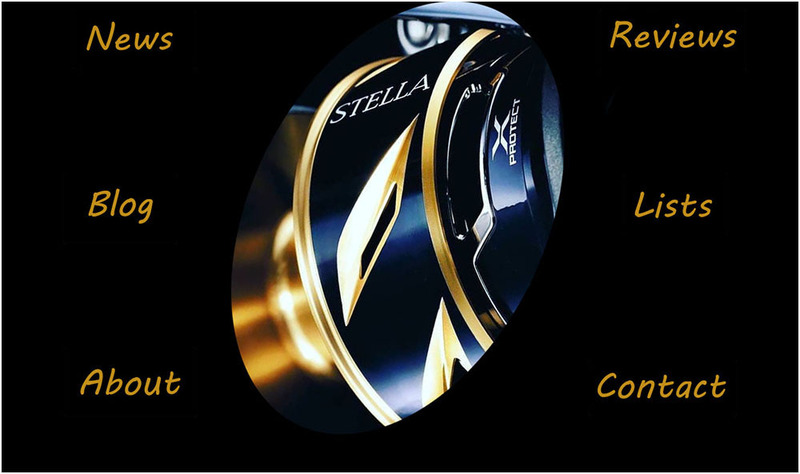 Late 2012 I got a leak about the 2013 Stella, and decided it was such a big event I should update the homepage with this teaser image. It's 7 years on now yet those spool cut-outs still look as excitingly aggressive as they did when I first saw them. Used these spool cuts as a base for the names of various sections at the top of the page. Couldn't keep it up for long and quickly reverted to my elitist ways. These are the guts of the 13' Stella SW, which continued to fascinate me. 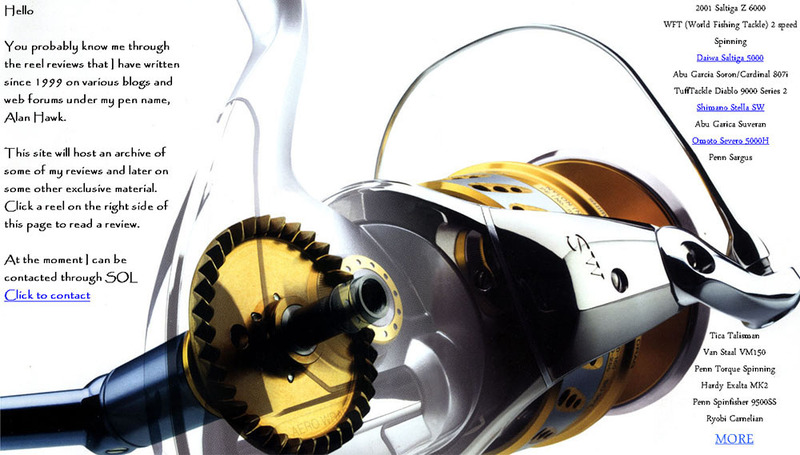 Thing is, for the flagship reel Shimano insists on using a complicated worm gear oscillation with double rod mounting, when they could've thrown in a simple locomotive set. 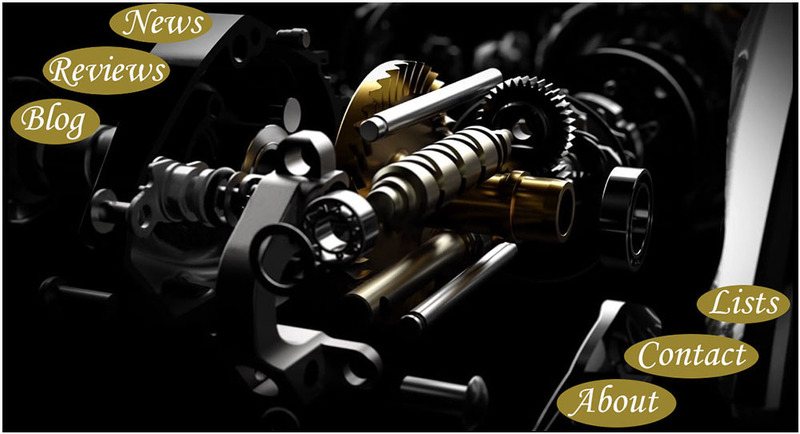 Not the easiest to manufacture nor the most cost effective, yet there is a certain sophisticated beauty in its mechanical complexity. Same goes for some Stella SW models that have a bottom drag. It adds weight, lifts the spool therefore requires a longer shaft, has more parts, needs screws and precisely threaded plates, costlier to manufacture and time consuming to assemble, yet they keep doing it when they could've dropped a perfectly functional top stack followed by a simple wire retainer. The engineer inside of me drools over these details and finds this complexity quite charming. Anyway, I loved this wallpaper so much I believe it holds the record as the one to stay up the longest. Late 2013 I showed you the first leaked grainy images of the upcoming 2014 Saltiga Expedition, and even that early I did not hold back on expressing my love for its aesthetics. Once quality images became abundant in 2014 I changed the wallpaper to this one, which I enjoyed so much I would sometime visit the site just to look at it without having anything to post. 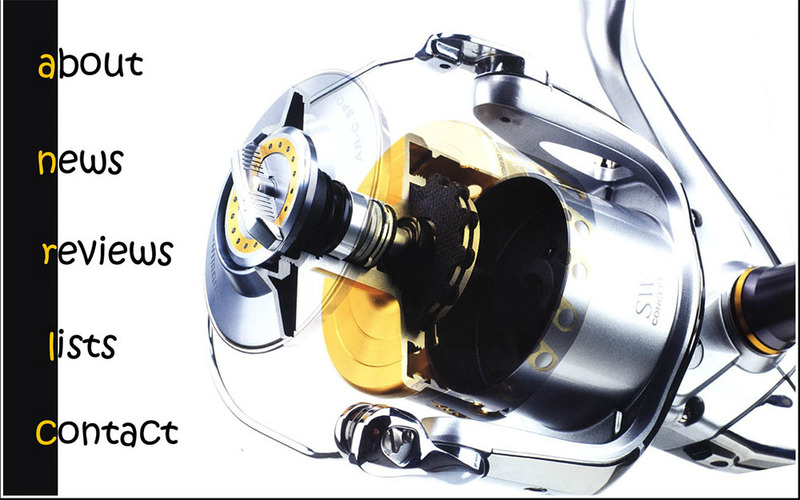 In my eyes the 14' Expedition remains one of the most beautiful reels ever made, only surpassed recently by the visually stunning 2018 Exist. 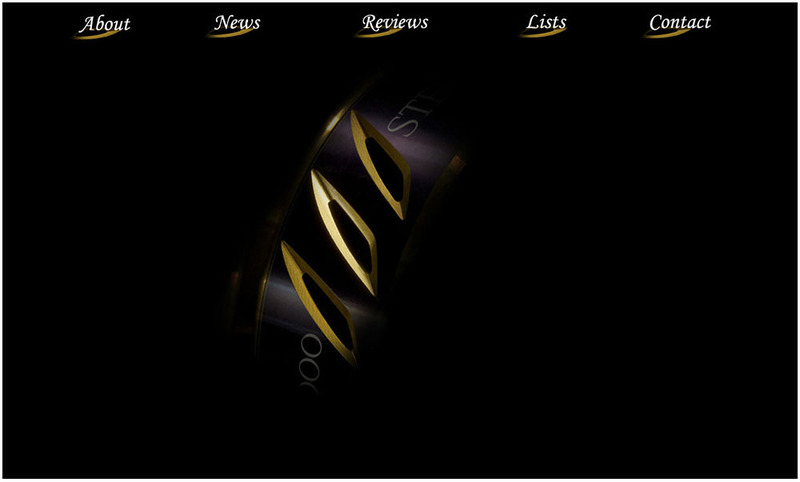 The arrows are a homage to the familiar arrows I use in the reviews to point certain things, and something new I did here was the "rollover" image; when you put your mouse pointer or finger on one of the text titles, a zoomed image of a part of the reel would appear. In the screenshot above the mouse hovers over "About" whose text is then replaced by a zoomed image of the side plate. That's as far as I want to go with scripts. My plan is to keep the site simple for fast loading even for those still using slow internet. Few months later I introduced the Blog section to the site to write about miscellaneous stuff that don't fit into any other section. 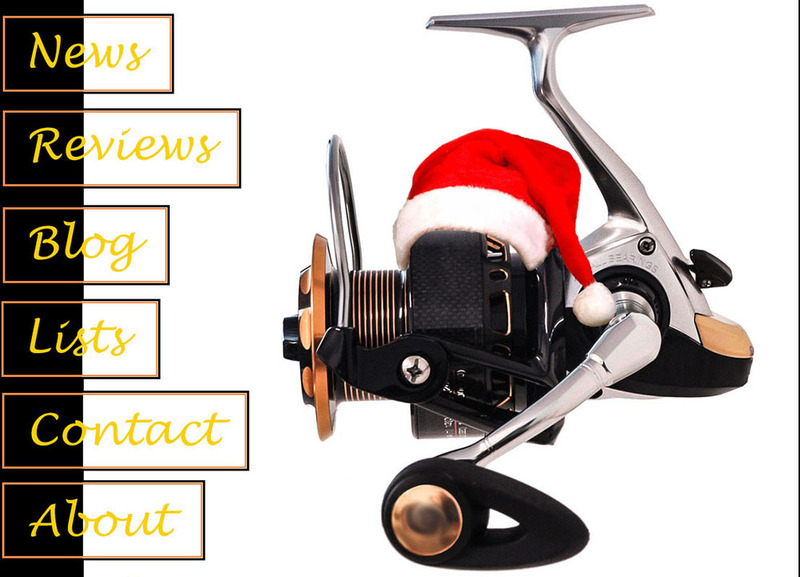 Here I could discuss things such as tackle scams, recalls and issues, reel care, fishing shows, or -as I'm doing now- shamelessly write about the history of this ridiculous site as if it is important enough to be worth writing about. What a delusional muppet I am! In 2015 I confused you with this wallpaper. It's a 15' Saltiga Dogfight, but it looked nothing like the new Dogfight that had just been released months earlier. That's because this wallpaper featured the JDM 7000H Dogfight, whose design is quite different to the 8000/8000H Dogfight you were familiar with. Seeing how confusing things had become, I wrote a special guide to help deconflict Daiwa's high end reels. More unusual subjects for the wallpaper, I went with the defunct TuffTackle Brawn. Had one for a while and regret not buying it because it's such a study in stupidity and failure it actually makes this device collectible. 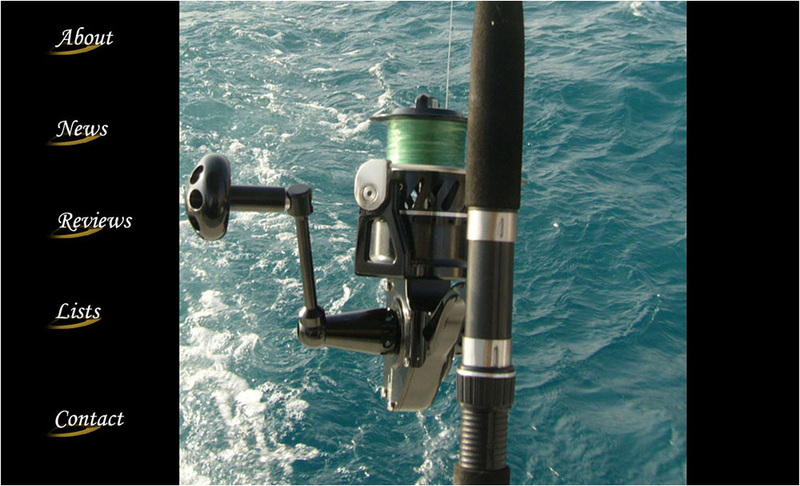 I call it a device and not a reel because it should never be mounted on a rod or used for the purpose of fishing. With hilarious faults such as the perpendicular line roller that cuts braid or the bolted foot that stretched so much the bail wire would hit the rod, one would be insane to actually take it out on the water. If you have one of these devices and want to gift it to me I'd gladly accept it. Something on the classic side this time. I've been procrastinating on reviewing the Hardy Exalta MKII for ages even though I've already photographed its internals. Actually I've just checked the folder where I keep these photos and it's dated February 2010, meaning an epic delay of 9 years so far. I'm so pathetic I wonder how my parents could ever love me! Back to the handsome Expedition, this time my own photography next to a lure. 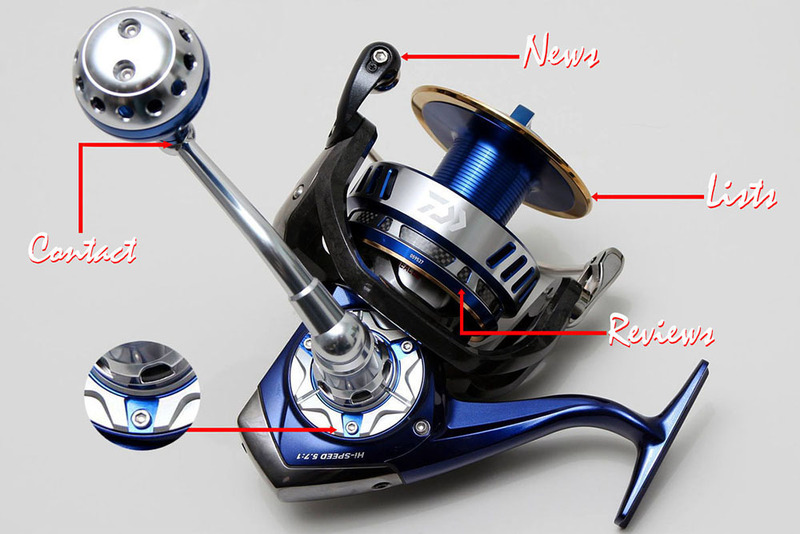 Daiwa's next flagship reel will look quite different, and while it might be even prettier based on what I've seen so far, I'll certainly miss the way this blue Expedition glows in the sun. You see, when I go out it's never about dragging fish in alone. Rather I enjoy the tackle I'm using on several levels be it the meticulous operation, drag sound, smooth rotation, or the beautiful looks. It's similar to hunting pheasants with a nicely engraved SxS gun that has a figured walnut stock. These embellishments will not affect the number of birds you'll drop, yet it adds to the whole experience and makes it more pleasurable. For a hobbyist sportsman the joy should always extend beyond the bag itself, otherwise he's doing it wrong. 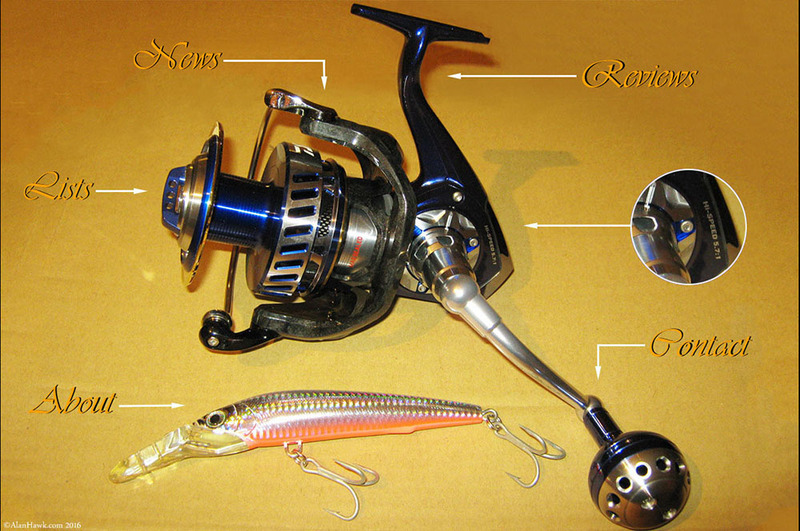 That's the Tica Talisman X-Treme, which is Tica's top freshwater reel. It's different to the saltwater version, the Talisman TG, which I reviewed many years ago. 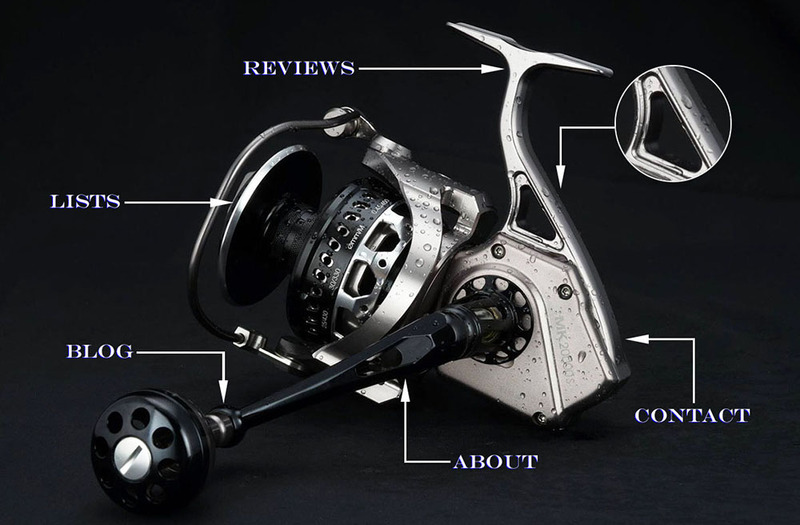 If there was one thing I repeatedly asserted since the very beginning it's that this site will cover spinning reels from everywhere and not only common brands or models that are available in major markets. This is why over the years the Reviews, News, and Lists pages featured such uncommon names as Banax, Teben, IRT, Ryobi, Tica, etc. 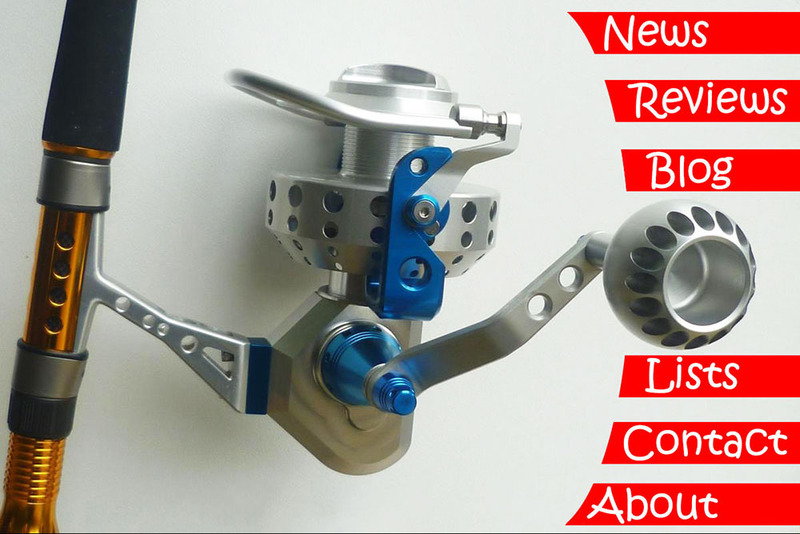 If it has a fixed spool and a rotor that goes round and round I'll be all over it even if it's made and sold exclusively in a small Cambodian village!! I put a Santa hat on the Tica for Christmas. Being a hell-bound atheist does not mean I can't enjoy religious holidays to the fullest. For me it's about the aura of happiness, pretty lights, lovely music, family gatherings, decorated tree, and stuffing my mouth with large chunks of yummy turkey. What is there to dislike? At that point I was basically pulling your collective legs. 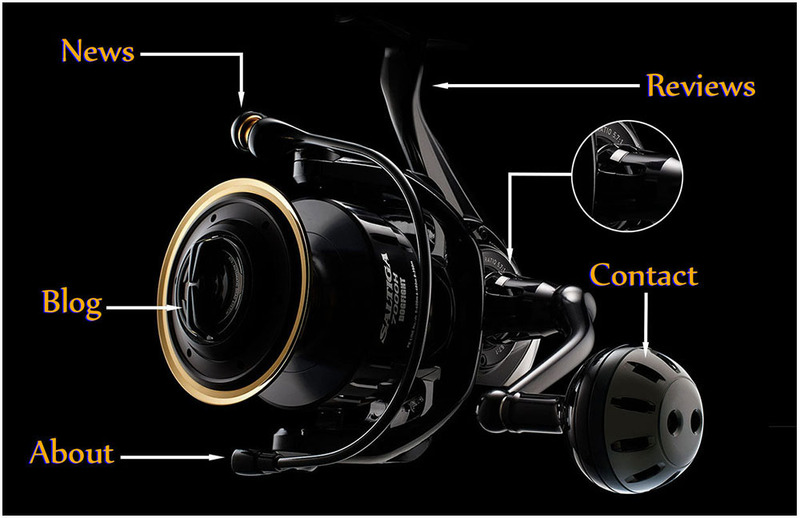 I put up a mediocre OEM shelf reel that's sold under various names such as Lurekiller Shark, Goture II Cast, and Singnol XT6000, but because it was photographed nicely it generated a lot of attention and I believe more than a hundred messages from fishermen willing to know where to buy one. Some even thought that I've created my own reel, which made me wonder how many reels I would sell if I actually do it. The answer is probably none because it would cost $3k and come with an angry brochure telling you never to ask me for service or spare parts because I'm too lazy to manage these. 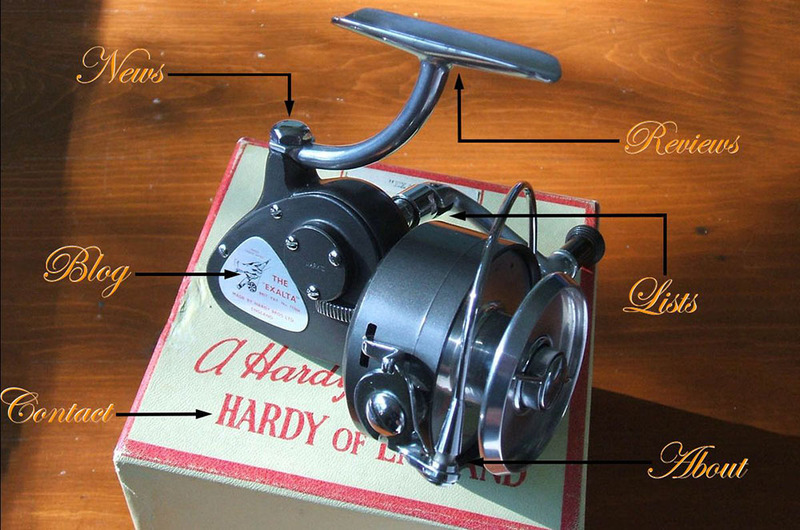 You don't want to buy a reel whose maker's best achievement in life is setting a personal sleep record of 14 straight hours and is hoping to do 16 soon. That was one tough day for me. 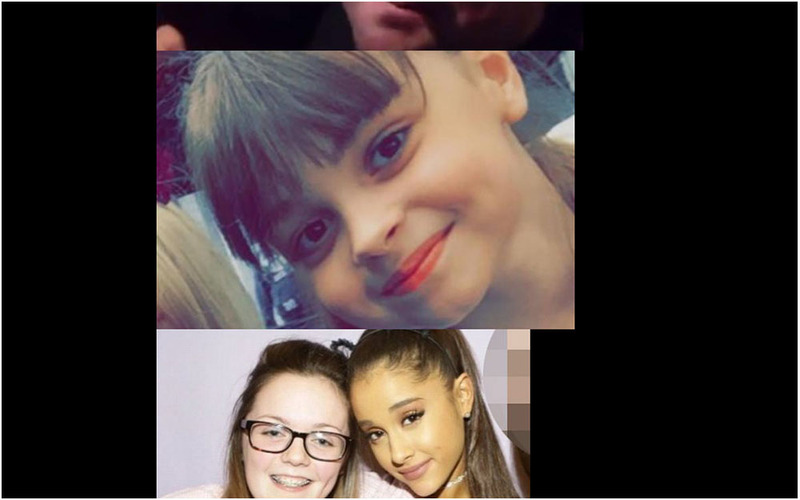 Woke up to the news that a piece of faecal matter killed and injured a large number of mostly kids in a Manchester concert, and my heart was so broken I suspended the entire site and instead put a black pages mourning the victims and directing people who want to help to official resources where they can do so. I intended to keep it that way for a week, but a couple of readers got in touch and told me that by disrupting normal life we give a win to the criminal so I restored the site a couple of days later. It truly takes a special kind of evil for someone to murder a bunch of children, some of whom had not even been potty-trained for a whole decade. I do hope that I'm wrong about afterlife because I really want there to be hell where he'd forcibly become Beelzebub's concubine for eternity. 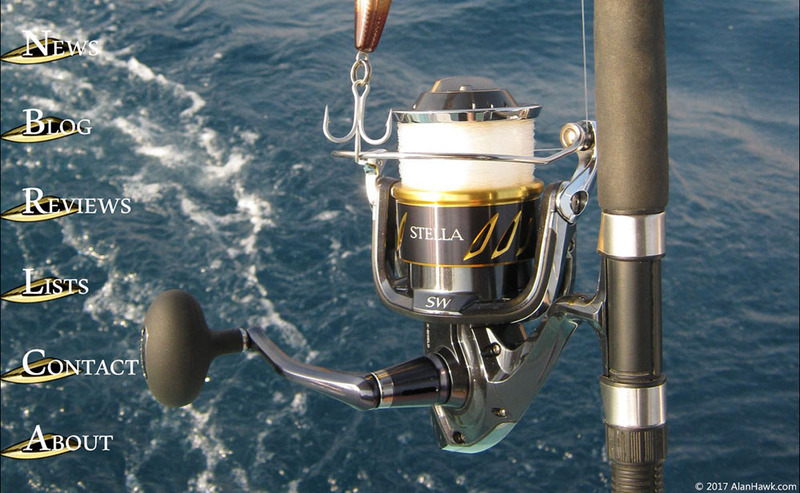 Encouraged to use more of my own photography, I went next with this unusual angle of the 2013 Stella SW. Might not have been the best reel around, but looks wise it had an undeniable elegance. No reels this time, rather an Osprey, sometimes known as "fish hawk" catching a Carp that appears to be in total disbelief. See what I did here? 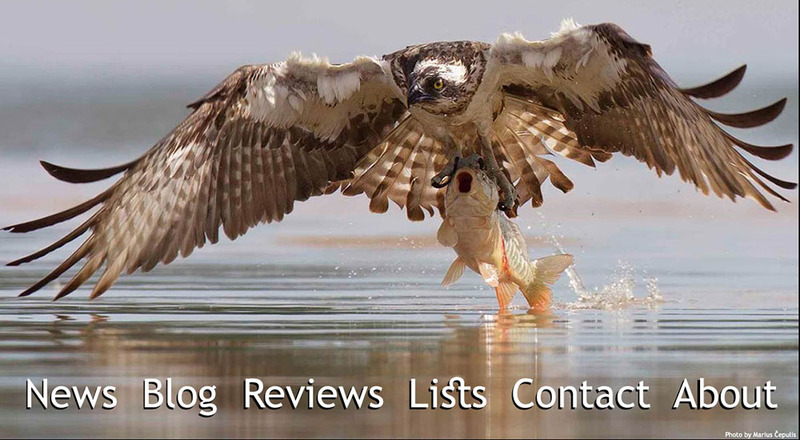 "Hawk" catching a fish? I know I know, extremely cheesy, but back then it felt witty and smart for some reason. I do apologise and want you to know that I'm working hard on changing and becoming a better person who would not disappoint you as much as I do now. Took 2017 Christmas celebration more seriously, with the entire page dedicated to the theme. 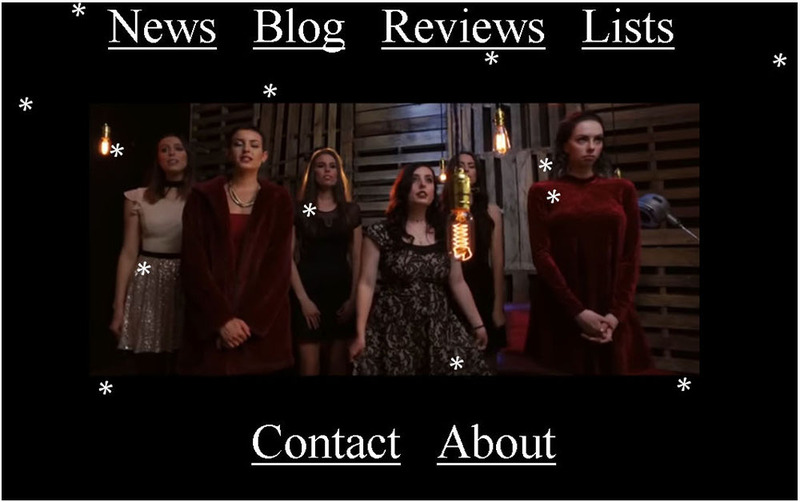 My choice was Cimorelli's glorious rendition of Carol Of The Bells, for which I received positive feedback from many of you in the holiday greeting emails. The allure of the Stella's complex mechanism got to me yet again, this time though I went with a the freshwater 2018 version instead of the SW version. The rollover action this time was the entire button disappearing upon contact with the mouse pointer. Again, it looked pretty clever in my mind before I actually did it, and by the time I was done and had realised how dumb it is I had no energy left to change it. 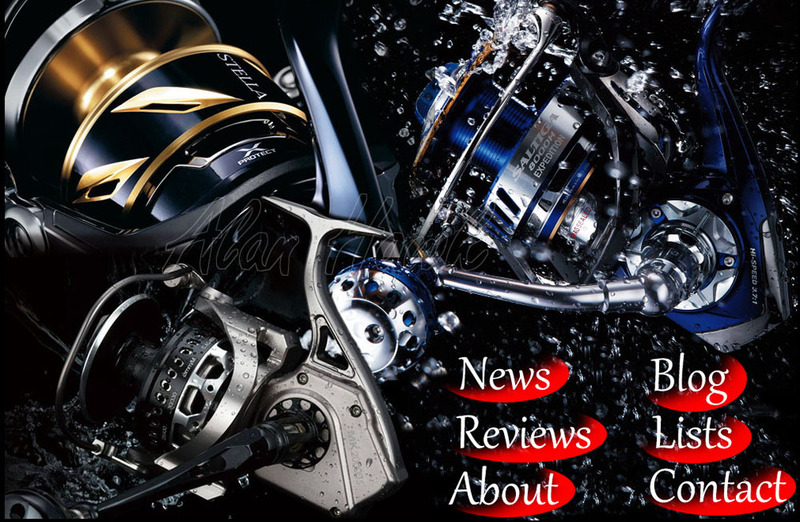 The Makaira having established itself among the elite super-spinners, it was time for its debut on the main page. 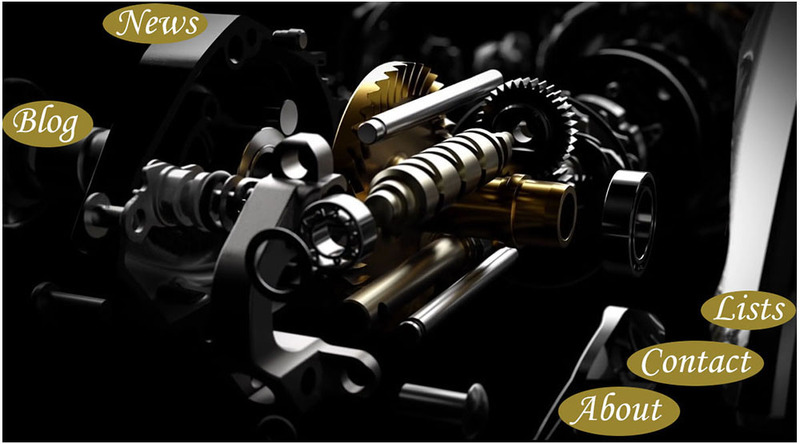 Reels that have machined bodies are almost always not good looking because of machining limitations, but the Makaira broke new grounds with modern cutters and forging technologies that produced a lovely looking and curvy reel. Another Christmas theme, this time with Ms. Klesova disguised as Santa. Some of you though were sharp enough to see through the disguise and realise that it's not really Santa Claus. Well done! Here it is. For the first time ever the wallpaper was not about a single reel, and instead I created this group image of the "big three". It won't be easy to beat this one in the future, but I'll keep trying! cause the site not to be displayed in search results in some conservative countries or geographical regions. I did my best to blur her... ehm... "nether entrance" and even strategically placed a useless welcome message on it, yet I felt it was still too risky to have it as the main page so I never uploaded it. Tragic, I know. That's it. Maybe in another 10 years I'll do a similar article where I'll go over the wallpapers of the next decade or something. The last few blog article were kinda tense tackling issues such as fake reviews and the ongoing warning about Stella FJ's problem, so I hope this nonsensical article was a fun or nostalgic change of tone. Keep checking the News page for updates on what's next. Was this a good read? To support this site and keep it going, please click here.